I love theJudeAbides' idea! Especially since I missed all of those except the TIE Bomber (which I got before I got into Star Wars), and the TIE Fighter (which I got in the TIE Collection), and I would get them anyway, since they would get a black and grey makeover. I would totally buy all of those! Actually, that would be better to make in four sets. A hangar with Boss, the bridge with Fixer, and the detention level with Scorch and Sev, all littered with droid dispensers, droids, Trandos, etc. I've been saying this for years now, but it still holds true. There needs to be anything LEGO can think of with more Padme Amidala minifigs. It's absolutely inexcusable that the only minfig to date of the main female character of the prequels was released in 1999, especially considering there has been no flesh tone Padme released. Jedi CouncilReason:I would like Ki-adi-mundi minifig(Sorry if thats not the correct spelling)Mace Windu, Yoda, and all the other guys/girls as well. Hoth battlepacksAT-AT driver and 3 Snowtroopers for Imperial pack. Rebel pilot, 3 Rebel soldiers, and a taun taun. Have you read the RtB policy. Because even mentioning new sets is not allowed. Might want to edit your post then . Anyways, I just want to see more Original Trilogy sets. I'm kinda getting sick of all the clone wars sets bombarding us at the present time. Don't get me wrong, I enjoy watching the clone wars on tv...the ones without Jar Jar...and I like some of the clone wars sets because I missed out on most of the original ATOC sets, but I fell there is still a lot of great things lego could do with the OT. Well, that's my two cents. We got them in the Republic Cruiser a couple of years back. I just had a new, brilliant idea! How about this: Utapau Landing Platform-$45, about 350 pcs. It would include the landing platform (the one where Obi jumps down behind Grievous and says "Hello there") with a walkway above it. The platform would be a baseplate with decorations on it to look like the Utapau platform. The walk way would be fairly wide. It would include some random boxes to make in look authentic. I know, but still, only one set (which was a so/so one)...? Well I really want the TLC to get away from the CW sets . I know there are lots of possibilities and that they sell well around the main target audience for the TLC, but because of this overdone waves full of just CW sets the TLC is really leaving apart all those amazing OT and PT sets . I think if they do the next year a bit more balanced it could sell very well too . It seems like they lose interest in all those PT and OT fans out there. C�mon TLC just an OT set for the January wave and non PT sets? I know the CW could be take as PT but lets be fair, not all the fans of the PT like the CW. Also I am getting tire of the battlepacks. Where we leave all those beautiful years when REAL vehicles and ships where mada at a $10 price tag? It seems like the TLC now take like synonym Battlepacks and $10 price tag . I hope they release sets such as a Cloud Car, Atgar Cannon, Ewok Glider, Bail�s Speeder, Coruscant Taxi and a long, long list of $10 sets possibilities . Also I want more playsets. 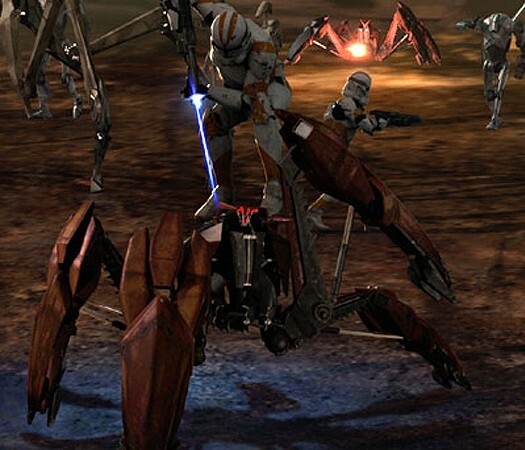 Who doesn�t think that a Geonosis Arena is more needed than a Magnaguard Strafighter? or a new Jabba Palace than a RAS? Just look at how awesome the DS playset is and you can get an idea of a set of Jabba Palace of that price . Then we have a lot of important non CW vehicles and ships that aren�t done yet. Just think about a Rebel Medium Transport, a Naboo Royal Starship, a Gian Speeder, a Coruscant Fire Speeder, an Outrider, a new Imperial Shuttle? Look there are lots and lots of possibilities . In minifig terms I need to admit that they have done a good job giving us normal characters in CW style and choosing unique one that look like both normal and CW style (I don�t care for minifigs such as Ahsoka cause they only appear in the cartoon) but look at the minifigs we have got the last years and look the big holes we still have. We really, REALLY need minifigs of a Queen Amidala, a Padme, a Chancellor Palpatine, an Aayla Secura, a Mon Mothma, an Admiral Ackbar, a Nute Gunray, a Bail Organa, a Nien Numb, a Biggs Darklighter, an Aunt Beru, a new Watto, a Boss Nass and a long list that can grow the same as the SW EU . My apologies that this is a bit off-topic, but why the hate on the Republic Cruiser set? I think it's one of their better ones to date, if for no other reason than all the great parts in red, and it had some great features. I know there were complaints that the cockpit was too small, but really, what's wrong with the set as a whole? I must agree with the chep point. Inflation, however, has mean that chep sets have near enough doubled in price, so previous $10 sets are nearly $20. But if the battlepacks are going to be this unimaginative as this year, thete will be little point. The problem with playsets is that they don't sell as well as ships. The reason the DS has been made is due to an older target market and actually looks like the Death Star (unlike like Jabba's palace). I enjoyed the format of theJudeAbides' post, so I'll put mine in like that. I also agree with all of his choices, excepting the Ewok BP. I would have put in Rebel Commandos (a la Renegade Squadron cover), hands down. Anyway, enough talk. It's cheap, and time is money. Ergo, money is time. Ergo, my time is running out. Not minifigure scale, and I doubt it would ever be. Something to scale with 4504. For some reason, I like it when large craft are made much smaller than scale. We've not had one since I was too young to have enough money to get it. I'm not saying it was bad, I'm just saying it needs a revamp. Includes a revamped Cloud Car. That's all for now, but I might edit this later. Stay tuned. - A white crate of This Mold Piece with a Republic Emblem sticker on the piece. The crate would look nice in dioramas and be a basket to put the ARC accessories in. - A white crate of This Mold Piece with a CIS Emblem sticker on the piece. Ah? Ah? For $3.49 a pop, it may not have that many adult buyers, but for the eight year old kid who finished watching the latest Clone Wars episode that saturday morning to walk into Target with five bucks in his pocket, he'd be sold. Lego would make a killing off of them. I liked the Cruiser, nice colors, some nice features. I mean, my brother has it, and from what I have seen, it is way too fragile and oddly balanced in a way. I like it, but I'm not a huge fan, in other words. I think the reason why LEGO made battlepacks is because they were not allowed to sell just SW figures, because of the whole Hasbro and Star Wars 1-4 sets. So, not to be a complete downer, but frankly, SW Impulse sets are extremely unlikely guys. What: a UCS, with the whole complement of clones (15), and every detail including the 20 troop capacity troop bay! Kinda like the MTT of Clones. I am an adult collector and (most times) have the money to blow. Not that I don't look for value. I will have to jump on the anti CW bandwagon. I'm a BIG OT fan and the PT + CW can fall off the face of the planet and I just wouldn't care. I love the UCS stuff and would like to see re-releases of some of the earlier ones I wasn't able to pick up do to lack of funds at the time. UCS - Xwing, Reb Block Runner, and why no UCS Awing or Bwing? What about a UCS life sized Lightsaber hilt series? Pure awesome. I'm not a fan of adding lights and sound and motors to the sets, these jack the price up and don't add a whole lot of value in my opinion. Bye AT-AT redesign. I like minifigs, but as these are (most times) the most expensive pieces in the sets, fewer is better IMHO. I'd rather have more pieces than more minifigs. (Sacrilege!) I'd rather have TLG go back to silkscreening bricks as opposed to having to waste their resources putting stupid anime faces on minifigs and then packing in a stupid sticker sheet for me to apply (which never comes out well). I hate one-shot stickers. I would love to see more stuff from the expanded universe ala Tie Crawler and Rouge Shadow. I have a whole book of SW ships and craft that would make excellent sets. It's not like people don't know what they look like, MicroMachines made a whole bunch of them back in the day. Tie-D as its own set. I could go on and on. Lego just needs to hit the expanded universe. You'll all buy it. Even if you have no idea what I'm talking about. You know you'd be on that like white on rice in a glass of milk on a paper plate in a snowstorm. EXPANDED Universe will save Lego SW! Edit: Dingdingding, found it! Okay, so my definition of 'pretty sweet' may have changed since I last saw that, but you have to admit it could be a set from a few years ago. Actually, browsing Brickshelf, there are a few MOCs of it. Nothing too outstanding, but there can't have been that many TIE Crawlers or TIE/ds, and they still got made. I know, I love my Republic Cruiser! I "swoosh*" it around all the time. I don't honestly care about the cockpit size, although I'd prefer it to be larger. oh! and a Mandalorian War Basilisk. A Basilisk War Droid would be rather hard to make into a set. Plus, it's not really a very well known thing. As are alot of Mandolorian things. Thanks you sooooooo much for reminding me of the name! I meant to include this in my KOTOR sets list of EU Vehicles We'd Like to See Released thread, but I couldn't remember the name and was too lazy to look it up. I approve, second, and say "aye!" to this proposal. 4 thumbs up. I still actually wonder if that even was a basilisk. EDIT: Going back and watching the game play, the "Basilisk" in KotOR looks more like a StarViper-Class fighter. Another thing I would like to see is a TIE Defender. Ya know, I don't think there's a single set that anyone on here would disagree with having made into a Lego set. What it all boils down to is what is most practical for TLC to actually make. Some, like the TIE Defender are practical not only as a set, but as a set that could be marketed. Some (though I wish it were not the case), like the SPHA ideas, are just too big/expensive/not well-known enough to be made. That's what MOCs are for, it's too bad I don't have enough pieces to make any good ones. I'm sure I can think up more.